Joseph Pilates, a German-born boxer, developed the Pilates Method in the 1920s. Pilates is a low-stress method of physical and mental conditioning that’s been linked to a wide range of health benefits. 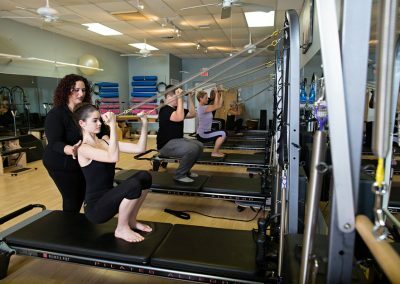 Pilates, also known as Contrology, helps relieve back pain and stress, improves flexibility of the muscles and joints, and lengthens and strengthens the body. It also improves posture by correcting the body’s coordination, balance and alignment, and helps stimulate the circulatory system and oxygenate the blood. Pilates can also heal injured tissues and prevent osteoporosis. 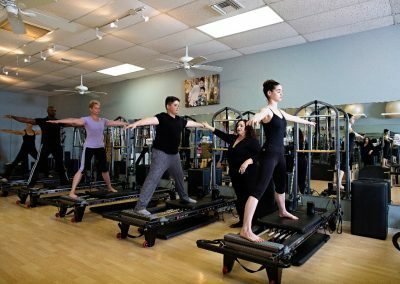 Restorative and Basic Beginning Pilates – Class designed for individuals with special cases (hip, knee replacement, back, neck, shoulder pain, and osteoporosis). Class will cover basic reformer, tower, chair, and mat. Class is based on Polestar education post-rehabilitation system. Mat and Props– Exercises work the Powerhouse, including the “abs,” and lay the foundation for other exercise apparatus. Props such as the magic circle, exertubes, fit ball, bosu, and orbit will be added to challenge your mat workout. Reformer – Provides a wide range of exercises–from beginning to advanced–in order to develop the Powerhouse. It contains straps, springs and a box for activities devoted to improving most muscles and joints. Levels: Basic, Intermediate, Advanced. Tower — Works each vertebra of the spine, while expanding the lungs, stretching the muscles, draining tension from the neck and shoulders, and strengthening the thighs. Levels: Basic, Intermediate, Advanced. Chair – Designed to stretch and strengthen muscle groups which are not easily reached by more traditional techniques and equipment. It provides exercises that offer great balance and control of the body. It forms the base of an entire range of advanced pilates exercises. Levels: Basic, Intermediate, Advanced. 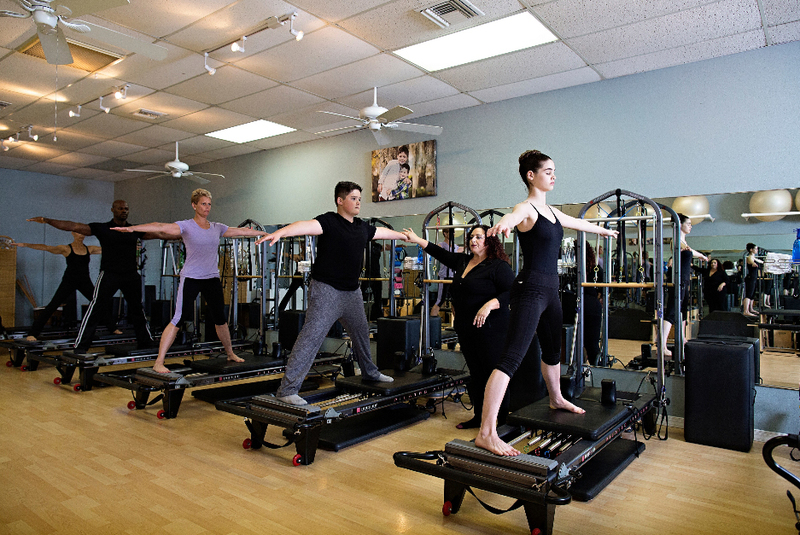 Jumping – The jumpboard is an additional piece of apparatus attached to the Reformer. This class focuses on jumping techniques used in dance and sports-related activities (tennis, golf, basketball, volleyball, running, skiing) requiring proper alignment and stamina. Levels: Intermediate, Advanced.